Many small businesses find success within their own niches via a combination of good marketing, quality customer service and a unique selling point. While larger businesses have no trouble promoting themselves to the masses, small businesses face a series of unique hurdles that can be difficult to overcome. From affording massive ad budgets to generating the necessary level of initial interest to be successful, the struggle is real. Fortunately, search engine optimization is one area where brands of all sizes can more effectively level the playing field and generate attention. 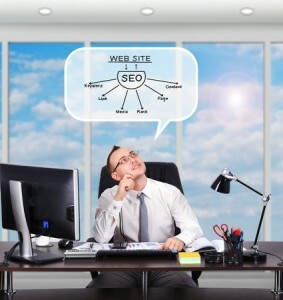 Today, we’ll review some of the ways that small businesses are making the dynamic of SEO work for them. Chances are that your small business will not be able to jump to the top of various search engine results pages for the most generic of keywords. If you’re selling shoes, for instance, then you’re probably not going to rank very well for the phrase “shoes for sale”. However, pinging URLs to content that include long-tail keywords – keywords and phrases that include anywhere from four to ten words – is something that can land you in the top position in Google results. While there may be fewer people searching for these long-tail keywords, you will be better positioned to rank highly among them, and thus generate more overall traffic than you would by being on the eighth page of a more generic SERP. Small businesses that are wedged in between bigger competitors and tough competition in search results understand that content is king. The more pieces of content you publish, the more opportunities you have to be ranked well by various search engine results pages. It is necessary to be active on the content creation front, as it gives you more opportunities to utilize keywords and sends signals to search engines that your website is active. Many small businesses accomplish this by operating running blogs that keep track of industry developments, the latest happenings for the brand and other interesting developments. While social media activity does not directly affect SEO, there are many instances where it does provide visibility in search results. With each post that you make on sites like Twitter, you create an opportunity to appear on the front page of search results for a related SERP. You have probably noticed an increase in the number of results for Twitter and Facebook now appearing in Google results; if you constantly create relevant content that is tagged with the appropriate keywords, your site can be visible in the same way. By being as active on social media and pinging URLs through these platforms as often as possible, you can dramatically improve your effective SEO outcomes. Small businesses have a lot of obstacles to overcome. When it comes to search engines, the need for new content, targeted keywords and social media can provide plenty of benefits in the struggle. By picking reasonable long-tail keywords, using social media as much as possible and creating content on a regular basis, you’ll help improve your SEO and generate more traffic in the process.